Nocturnally Yours | We work through the night, so that you don't have to. We work through the night, so that you don't have to. I’ve been pretty busy at Nocturnal Creative these last few years, and have now moved on to server side and firmware development. 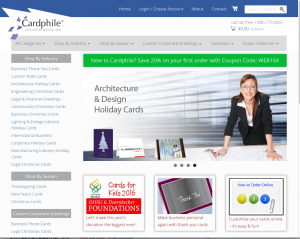 We took on our final ecommerce web design project in 2015, and if you are looking for business holiday cards and architecture holiday cards in particular, you’ll want to take a look at www.cardphile.com. Nocturnal Creative laid out the initial design for Cardphile, and then worked closely with Jesse Smith, of Mardesco Marketing and Web Design, who crafted most of the technical integrations. So if you came here looking for web design, SEO, or Adwords Campaign management in the Portland metro area, I highly recommend the team at Mardesco. Get a Mobile Website Today! In the web development industry, mobile is one of the most important aspects in creating your website. All websites at Nocturnal Creative can be viewed on mobile devices. Making a website mobile, however, entails creating an entirely new website that is specifically optimized for viewing on a mobile device. One bad first experience of a website can send viewers away forever, and now-a-days this first experience often occurs on their very own mobile device. 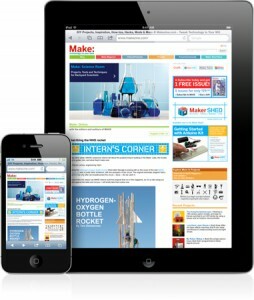 Nocturnal Creative mobile websites for small businesses. Nocturnal Creative was founded in West Linn, Oregon, however we provide website design services for all the local areas; Beaverton is among these areas. We support small business by providing professional web design at inexpensive rates. In modern times, websites are extremely expensive, and a growing business must make a serious investment before they can expect a presentable presence on the web. Nocturnal Creative provides a solution for those looking for website design in Beaverton. Portland, Oregon. From Beaverton to Gresham, Nocturnal Creative provides professional website design at inexpensive rates. Clients in Beaverton, OR, and surrounding areas, can expect local professional website design services at affordable rates – we are happy to come to you, or meet at a specific location. Nocturnal Creative provides for businesses and individuals looking for a simple seven page website, all the way to a fully functional eCommerce platform. Packages at Nocturnal Creative start at $250.00—learn more here. Why shouldn’t I use Flash for my website? Search engines, such as Google, cannot read anything in a website built with Flash. This makes it just about impossible for a potential customer to find your website when they enter keywords you want to rank for in a search engine (bad). Apple products, such as tablets and mobile devices (iPhones, iPads & iPod touches), DO NOT read Flash. Therefore, anyone using such a platform cannot view your website at all (very bad!). At Nocturnal Creative, we understand that your website has a job to do—we’ll make sure that it not only looks great, but that it works great too! NC focuses on building websites that you can manage yourself! At Nocturnal Creative, we understand that one of the biggest challenges many small businesses face after completing a website design – is managing the content on their site. You may already know that regular updates to the content on your website is an extremely important factor in SEO (search engine optimization) if you want to rank for your best keywords. Search engines, and Google in particular, are much more likely to move your site toward the top of the SERPs (Search Engine Results Pages) if they know that you are regularly providing valuable, and fresh, content. But how can you do that if you have to contact your website developer, submit a request for content updates, wait until they have time for you in their schedule, and then pay them to make those changes? Although you may not be willing, or have the time, to learn all there is to know about making major structural or design changes to your site, at Nocturnal Creative we design your new website so that you can control the things that matter once we’ve finished building your site. And all of our website packages include the training you need to easily manage content updates to your site entirely on your own. Contact us today and let us know what you need your website to do – our first job is to listen! Nocturnal Creative provides fast, clean, and inexpensive website design local to the West Linn and Portland area. You can contact us at thenocturnalcreative@gmail.com. Nocturnal Creative Website Design and Development | Full Site Online! All pages are online! On our website, you can currently view our website packages, our portfolio, our latest news, our about page, and our contact info. You can also view examples of CSS3 throughout our site, although many of these effects require newer versions of browsers. If this text does not fade when you place your mouse over it, click here to download the latest firefox browser for free and to see the capabilities of CSS3! when you place your mouse over it. Locally run and established in West Linn, Oregon, The Nocturnal Creative is open for business! Our goal is to improve the visibility of our clients on the web, through designing SEO optimized websites through smart and clean coding. If you have any questions, please email us at thenocturnalcreative@gmail.com. Tours with Steve is Online! Tours with Steve – Owner and founder Steve Schmidt. Visit the website here! Website – Home page online! We’ve just finished uploading the home page of our site, the rest is coming soon! The Nocturnal Creative open for business! E-mail us here if you have any questions.